Enter the Realm of the Spirit! Please feel free to enquire about our spirituals, we often are unable to post all of our treasures, they are quickly sold, so if you are looking for something specific, please ask as we may have it! Talismen and Charms work as powerful ingredients. Modern Scientific research is fast rediscovering ancient spiritual truths. It was once a source of wonder that a highly evolved spiritual person could create miracles through chanting, that mystics could cast spells through invocations, and indeed some people could pray prayers that worked! Now we find modern instances of the same ancient principles the human being somehow contains within himself a source of energy whose name changes often but whose power never diminishes. Turn back to the source of it All, our One Creator! Connect through the sacred language of All divine forces! a small fee extra will be charged for this service~ Please Ask about this convenient way to receive your mantras~ Know exact Pronunciation! Her master will be exhalted into higher dimensions and paradigm shifts. This effect will take a period of 3 weeks where each week the master will go through (daily) each chakra issue, and 3 times over making it 20 days, after this period a heightening of the senses is one of the first clear symptoms that will be felt. and her master will be pleased with the effects, her new owner must be an active companion to her, as she will be to her new owner, please no not leave her on the shelf to collect dust, she needs to interact frquently for best benefits! 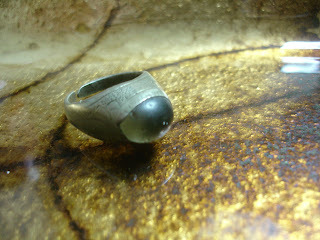 She is over 200 years old and her vessel is 300years old, she was conjured 300 yrs ago, the ring is a solid piece made from silver and has a real gemstone, I am not sure what it is but it has alot of depth when your stare at it, its absolutely beautiful. I would keep her myself but she needs someone who has more time for her, she doesn't like it when she is not spoken to regularly I honestly do not have the time for her that she deserves. I would like to see that she gets someone who truly cares for her and her talent and treats her with respect and as a companion who is important in their life! Even as you read these words, and bring to focus, ancient universal principles of cosmic action that are at work activated by your mind-the source of all energy, the root of all sacred incantations, prayers, and chants. This pre-scientific concept of a cosmic energy goes by many names in many traditions, such as ch'i, ki or qi (Taoism), prana (yoga), mana (Kahuna), barakah or Qudraa (Sufi Islam), élan vital (Bergsonian metaphysics), and so forth." Welcome to our world of Sacred Power stones Spells and Spiritual energies, secrets from the Mystical world of Islam, angelic and other worldly realms ~another world inherently hidden by the veils of the unseen, it's presence encompasses all of 3D life yet if we do not tune in we miss it completely ~ Open your life to the energies around you, Feel their Power as they enter your reality invite them into your life, embrace the many blessings that our creator has offered us for the betterment of our own lives and humanity~ Open your Life to the True spiritual world! Find the perfect Spirited energy to match your own! There are countless Spells and Spirit Guides that are available to us, only the purest of Beings that are Housed in Stunning Vessels, our selection of Spirituals are only from Pure Light forces nothing we offer has any association with Black Magick or Dark Forces, our spells and Dua's are performed with the purest of intentions and for the highest good, none will not do harm. All our Items are family friendly and lead you toward your highest potential in all levels. Please do not buy if you are afraid of paranormal activity, or a non-believer in magic.